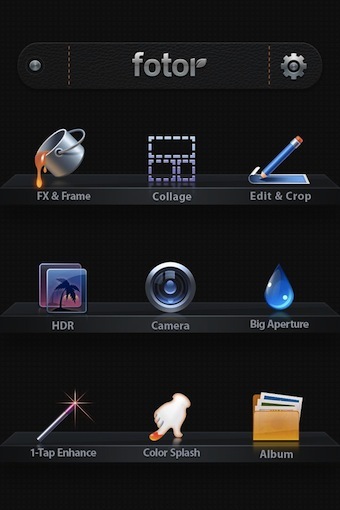 I have covered a couple apps written by the developers EverImaging LTD. One in particular was their HDR app. 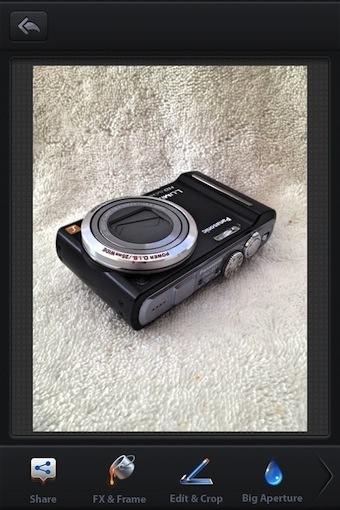 Now, get the power of their many apps into on with Fotor CameraBag. 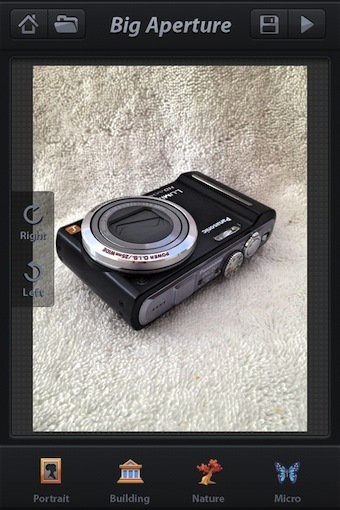 Launching Fotor CameraBag gives you many options to highly customize your iPhone images. One of the key apps brought into the Fotor CameraBag is the HDR features that is one of the developer’s most popular stand alone apps. There is many adjustments to the way the multi images are taken that make up the HDR, including a step to check the dark/bright images prior to merging the two. 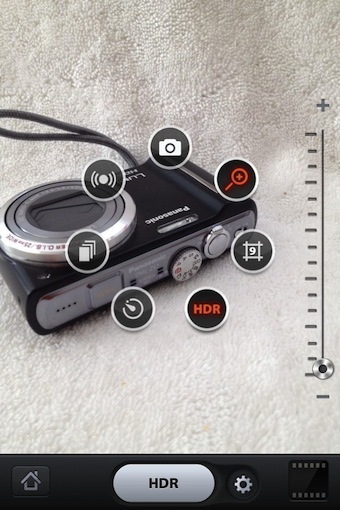 Anti-Shake, timer, zoom and on-screen grid are a few of the options through the gear icon next to the shutter button. After taking your photo, HDR or other, Fotor CameraBag takes you to many fine tuning options. Rotate, Crop, Brightness, Saturation and Contrast are a few. There is not need to save the photo off to another app, adjust the image then move onto other enhancements all within the same app. After you have completed all of the fine tuning of the HDR photo, save to go out to the list of image tuning like ColorSplash, FX, Frames and Collages. Each of those ‘included’ photo enhancements can be found in individual apps, rather Fotor CameraBag bundles all into one iPhone app. Like below, ‘Big Aperture’. Similar to Tilt Shift effect, the depth adding by using a set lens aperture will change the way a person focuses on the image. We used to buzz around town with a set lens to challenge the world around us to have a single item distance set to be in focus. 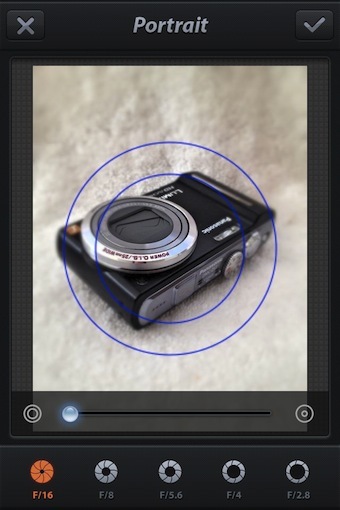 Rather than offering the adjust the percent of blur found in other apps, Fotor CameraBag has you choose the lens opening similar to a physical lens, then adjust the location and transition circle outside of the main focus object.